Stick out your thumb and hitch a ride, everybody - we're heading for Classic Shirt Territory with the latest entry in our 50 Greatest Football Shirts Ever countdown. 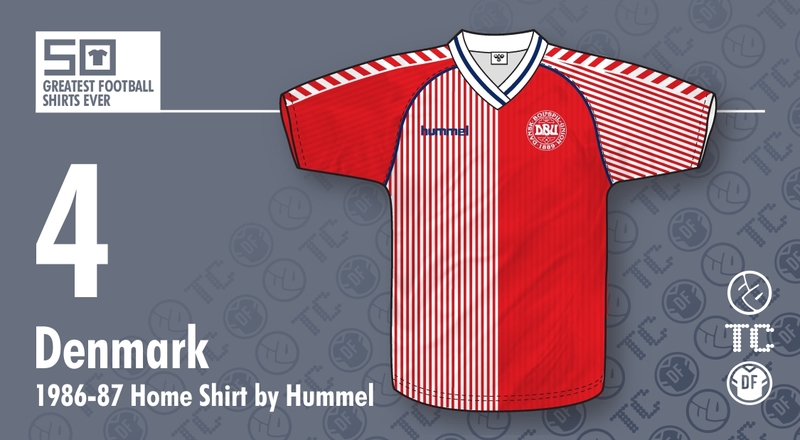 Today we bring you the brilliant red home shirt worn by Denmark in 1986 and 1987. 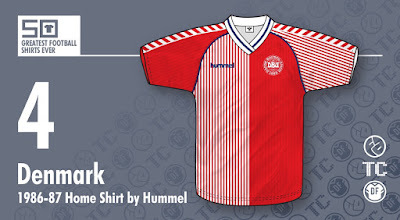 First worn in the Danes' final World Cup warm-up match against Poland in May of that year, it immediately made an impact with its creative use of pinstripes and contrasting halves, accompanied by the traditional Hummel chevrons running along the sleeves. 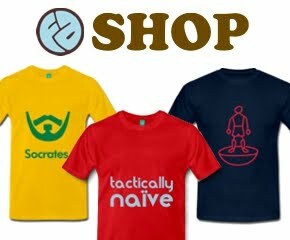 [Chris:] If any shirt can be symbolised by the word 'flair', it's this one. With its pinstripes, halved sections and chevrons on the sleeves, it has all the ingredients to be a complete dog's dinner, yet remarkably it combines into a stunning whole. I can remember seeing this for the first time during the 1986 World Cup and being amazed at its brilliant, modern-looking appearance. It just oozed class, as did the players that wore it. The brilliant part, however, was that it used less of Denmark's traditional red colour by distracting you with all the pinstripes and other details. Heck, even the navy blue piping along the collar and across the shoulders was wonderful to behold. The smaller proportion of red soon became apparent when Denmark changed their shirt design again in 1987. A return to solid colour was inevitable, and it was only then that you realised how clever the two-tone shading of this shirt really was. For me, this is exactly what football shirt design should be about: interesting detail, a good use of colour and original in its styling. [Rich:] The insanity of late-80's / early-90's shirt design is usually regarded as starting with the Holland '88 shirt, but the seeds were sown two years before with the shirt Denmark worn at Mexico '86. While this template has already been seen in the Top 50, this is the original (and still the best as some would say). 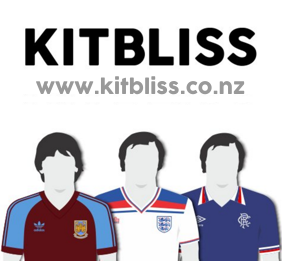 While shirt technology at the time meant more and more intricate detailing was finding its way onto kits, the designs themselves were still relatively safe. Then along came Hummel and just blew everything else out of the water! It's worth noting that the original shorts that went with this top were also halved, but with the blocks reversed, culminating in a design only a sociopathic harlequin would wear. Even today it's a design that would divide opinion, which after 30 years, surely says something about its impact. It may have been a template that got used over and over, but the Denmark incarnation is a bona fide classic... as demonstrated by the price they now fetch on eBay! [John:] The only thing I really knew about the Danish side in the 80's was the presence of Jan Molby and Jesper Olsen in the side and the fact they always had superb kits, which were of course back then always supplied by their fellow countrymen, Hummel. Back in the decade that style forgot (although interestingly as our line up reveals, this didn't apply on the football pitch) this ground-breaking design divided opinion almost as neatly as it divided the red and white on the shirt. Thankfully now good sense prevails and this jaw dropping outfit is rightly regarded as a classic. I would have put money on this being number one. As a proud owner of this shirt I can say it is as beautiful in real life as it was on my telly in 1986. Loved the massive italicised numbers on the back of this, too. Blue on red doesn't usually work. But they were so massive you could see them from row Z. 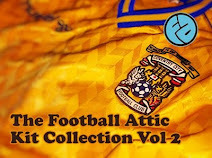 Not sure including this and the Coventry 1987-8 kit in the countdown is cricket. The latter looked a bit rubbish on Greg Downs.